The Center for World Music presents an informal concert series of classical and folk music traditions that will introduce you to the sounds, aesthetics, and cultural significance of the music of select regions from around the world. A noted singer, dancer, and bodhrán (Irish drum) player, Máirtín de Cógáin has gathered a group of the finest Irish-American musicians around him. Together, this group brings the story of de Cógáin's native Cork to an appreciative international following. Merja Soria, a native of Finland, performs the touching music of her Finnish heritage. She combines kantele (Finnish folk zither) and the ethereal sounds of the voice to sing the haunting songs of Suomi (Finland). 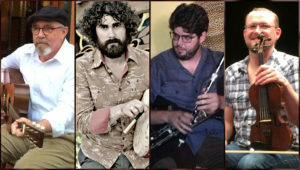 Dornob is a collective of musicians – now spanning two generations – who've been playing Iranian music in San Diego since 1984. 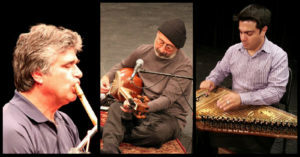 The Dornob Trio will give you a delicious sampling of the classical and folk music of Iran and the Iranian diaspora. 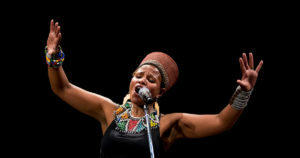 Nomsa Burkhardt is an extraordinary South African musician and dancer. 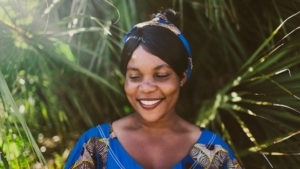 She and her fellow musicians will be presenting traditional Zulu drumming, songs, and dance, intertwined with stories of the rich Zulu heritage and culture. 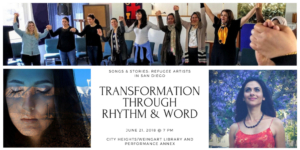 Songs and Stories: Refugee Artists in San Diego performing artists will include Matrida Umoja Band (Congo), Revelation Gospel Band (East and Central Africa), Emanuel Adamson (Congo), Shifaa: Iraqi Refugee Women’s Drum Circle (Iraq), Ari Honarvar (Iran) and Dlan Dary (Syria), and the Music House (Middle East). 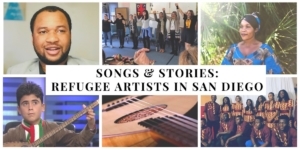 This event highlights musicians and artists from within San Diego’s refugee communities. 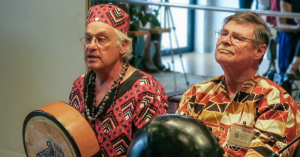 Lively performances and real conversations with Marida Boazi, the Revelation Gospel Band, and Emmanuel Adamson immerse audiences in the cultures and journeys of a seldom heard segment of San Diego's vibrant and diverse population. The Songs and Stories: Musicians of the Middle East aims to highlight musicians from within San Diego’s refugee communities. Join Dlan Dary and Music House in lively performances and real conversations about the cultures and journeys of a seldom heard segment of San Diego's diverse & vibrant population. You are warmly invited to join the Center for World Music's Odissi Dance School for its spring recital. 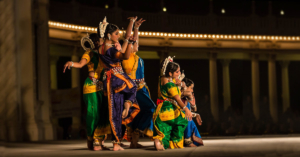 The program will be directed by Sri Rajesh Kumar Palai, visiting teacher from the Orissa Dance Academy, Bhubaneswar, India. Students will demonstrate their knowledge and skill through performance of various items. PLEASE NOTE THE UPDATED VENUE INFORMATION. This event highlights performers from within San Diego’s refugee communities. 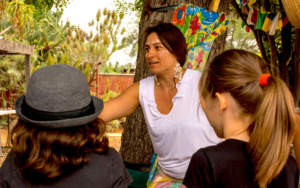 Join poet/performer Ari Honarvar and the Iraqi Refugee Drum Circle for lively performances, real conversations, and a participatory experience in the culture and journeys of a seldom heard segment of San Diego's vibrant and diverse population. 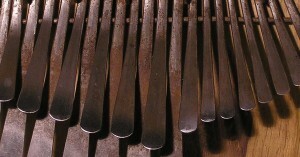 Advanced mbira players from around Southern California gather to celebrate and play this extraordinary instrument. Admission is free, but space is limited. Bring your instrument(s). Please RSVP to Lewis Peterman to reserve your space and get directions to the venue. 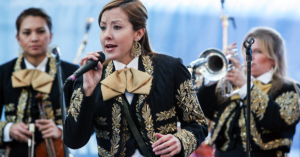 The Mariachi Women's Festival aims to recognize and empower mariachi women throughout the world. Don't miss out on the July 21 Festival! The Center for World Music is planning an exciting 2018–19 concert season. Be the first to find out the details of our next series of concerts and events by signing up for our electronic newsletter. Advanced mbira players from around Southern California gather to celebrate and play this extraordinary instrument. Admission is free, but space is limited. An evening of North Indian classical music with internationally acclaimed artist Rajeev Taranath, sarod, accompanied by Abhiman Kaushal, tabla. 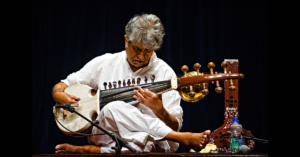 A brilliant performer and award-winning composer, Taranath is today one of the world’s leading exponents of the sarod. The Center for World Music presents an intimate house concert of mbira music from Zimbabwe. You are warmly invited to join us for the Center for World Music Odissi Dance School's quarterly recital. 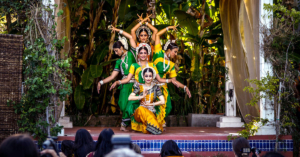 The program will be directed by Sri Rajesh Kumar Palai, visiting teacher from the Orissa Dance Academy, Bhubaneswar, India. 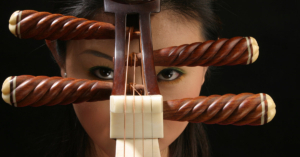 Join the Center for World Music for an evening of koto (Japanese zither) music with Kozue Matsumoto. 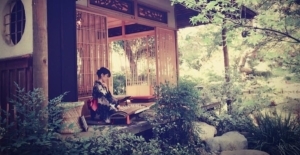 Matsumoto will guide the audience through a performance of traditional and contemporary koto music. This exciting, free performance will be offered by students from the Museum School, which is located nearby in Bankers Hill, where students grades K–8 study this fascinating musical art form every week throughout the school year. The Center for World Music is happy to present Altai Kai. 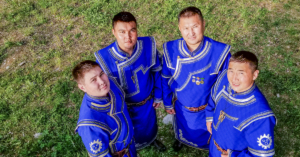 The members of Altai Kai are throat singing virtuosos, skilled in the different styles and variations of kai (the Altai word for throat singing) and folk instruments. 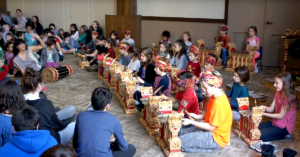 Join Bonita Sunnyside County Library for a free, family friendly, music performance of Pakaraguian (PAW-KAH_RAW_GIYON) Kulintang (Cool Lynn Tong) Ensemble. 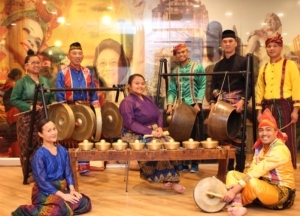 Using indigenous forms of instrumentation (gongs, kettles, and drums) the ensemble will fill the community room with rhythmic celebratory music and dances from the Muslim Societies of the Southern Philippines. Following the performance, the Ensemble will offer interactive hands-on opportunities to play the instruments and learn basic dance movements. 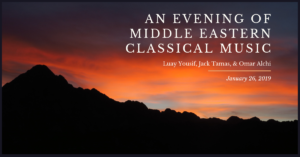 Join us for an evening of Middle Eastern classical music with violinist and singer Luay Yousif, drummer Omar Alchi, and guitarist Jack Tamas. 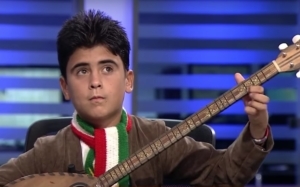 Luay will present traditional songs and instrumentals of the Middle East as well as his own original compositions. Join Bonita-Sunnyside County Library for a lively performance of folk music, stories, dance, and language from the Zulu and Xhosa peoples. 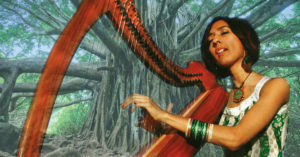 Nomsa Burkhardt, world music artist and educator, will bring us on a musical journey of South Africa. EVENT SOLD OUT! 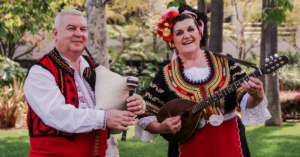 Join us for an evening in an imaginary Bulgarian home full of traditional singing and music (and maybe even a bit of dancing and some snacks) with Tzvetanka Varimezova, a wonderful singer and tambura (lute) player, and her husband Ivan Varimezov, Bulgaria's best bagpiper. EVENT SOLD OUT! In response to popular demand, this is the second concert highlighting Bulgarian folk music. 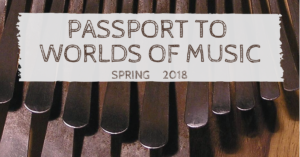 This is the fifth of an eight-concert series in the Center for World Music’s Passport to Worlds of Music 2018-19 Season. 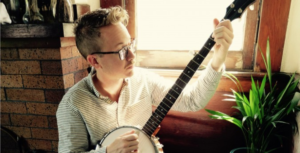 Clinton Davis will perform traditional American music from Appalachia and the Deep South on banjo, fiddle, guitar, and harmonica. 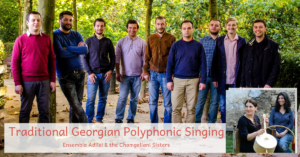 Join the CWM in welcoming Ensemble Adilei and the Chamgeliani Sisters from the Republic of Georgia. This very special evening will introduce you to the sacred and secular spaces of the oldest tradition of polyphonic music in the world. All are welcome. Join us for an evening of traditional and modern Chinese pipa (plucked lute) music, played by internationally acclaimed musician and educator, Jie Ma.